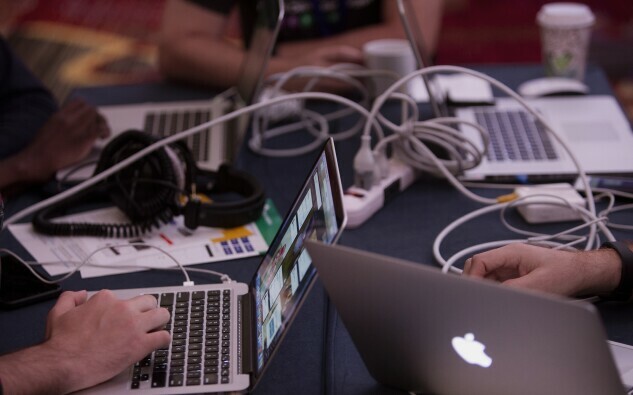 Hackathon attendees work to hack and solve problems in New York on Aug. 25, 2015. In late 2018, one of the first tasks of the new chief innovation and value officer at Blank Rome, Linda Novosel, was to work with associates and practice groups to spur legal innovation ideas. Bryan Cave Leighton Paisner’s top innovator, Katie DeBord, in November co-founded Cantilever, a legal operations consultancy designed to support in-house legal teams. Top law firms increasingly agree that successful adoption of the latest legal technology to benefit both firm and clients requires a new category of executive at the helm: a chief innovation officer, or “CINO.” And as AI continues to become more integrated into legal tech, experts say they expect the demand for this new breed of firm leader, who can also help generate fees for the firm directly will only continue to grow. The trend of hiring CINOs — not to be confused with chief information officers, or “CIOs"—began in large part with elite British “Magic Circle” firms, including Allen & Overy, Clifford Chance, and Freshfields. It soon spread across the Atlantic. As of 2019, CINO roles have been added in 57 of the top 200 law firms by gross revenue, David Cowen, president of The Cowen Group, a staffing and recruiting firm, told Bloomberg Law—up from 32 one year ago. Although at least a couple of firms Cowen includes haven’t yet hired their CINOs, it’s clear there has been a recent increase in these roles. Firms don’t always agree on whether CINO roles should be filled by partners who maintain practices and bill clients for finding tech solutions, or by “non-billable talent,” as one consultant puts it, including MBAs and other non-lawyers. And the teams around CINOs differ in size and composition. The larger teams, such as the one at Orrick, include multidisciplinary groups of data scientists, software developers, and statisticians—not to mention lawyers of many stripes. About 50 people report to Orrick Chief Innovation Officer Curtis, for example. Others, like Blank Rome’s team, include as few as five people. Bryan Cave’s innovation team includes about 25 people, Chief Innovation Officer DeBord told Bloomberg Law, including a legal services delivery unit of five, as well as Cantilever, which includes another 20. Like traditional firm practice groups, CINOs and their teams contribute to the firm’s bottom line, but their approaches can vary. Some revenue opportunities are direct—like Orrick’s design of CaseStream, a proprietary case management platform that’s been tailored for use by Microsoft and other clients. And some CINO groups create value more indirectly, for example by building processes and tech to streamline the operations of the firm’s own practice groups, in areas like strategic pricing. Firms also are taking different approaches on whether, and when, their CINO teams bill clients for these services. Curtis and DeBord said they sometimes bill their clients, especially when it relates to individual projects; their teams are direct money-earners for their firms. Blank Rome has gone a different route. Firm leaders expect that the new technologies and processes adopted through their work, both within their clients’ legal departments and at the firm, will yield money-saving efficiencies for both, Novosel said. In either case, CINOs and law firm consultants say the goal is to drive value for clients—which in turn cements their loyalty. Several other prominent Big Law firms have added CINO positions in the last few years, including Dentons, Sheppard Mullin, and Littler Mendelson. But there are also some prominent holdouts. McDermott, Will & Emery is one firm that has weighed the idea—and for now, rejected it. “While there has been talk about the role in the legal industry, McDermott does not have any immediate plans to create and/or recruit for such a position,” a firm spokeswoman told Bloomberg Law. She declined further comment. According to Cowen, some firm leaders initially fought against the idea of creating a C-suite position and team that acts more like a tech startup than traditional legal practice. But for the most part, those days are over, he said. “There had been some pushback, but not anymore,” said Cowen.